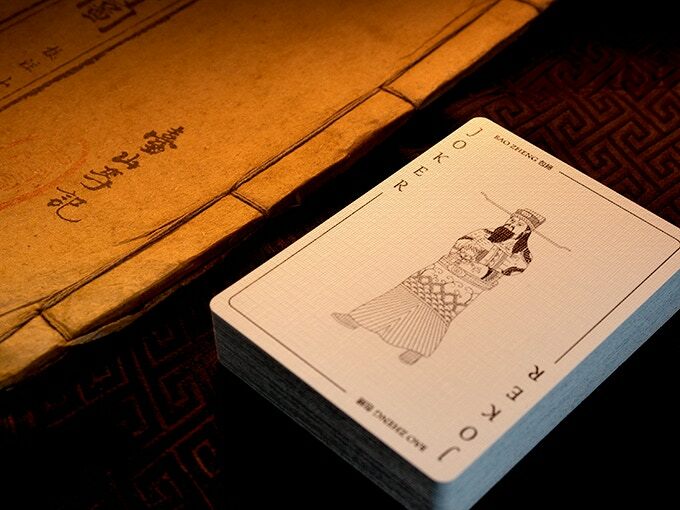 Among the oldest civilizations, China is undoubtedly one of the historically richest. 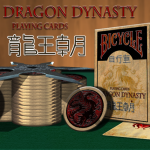 Its thousands of years have lived different times, from the first dynasties to the most contemporary history. 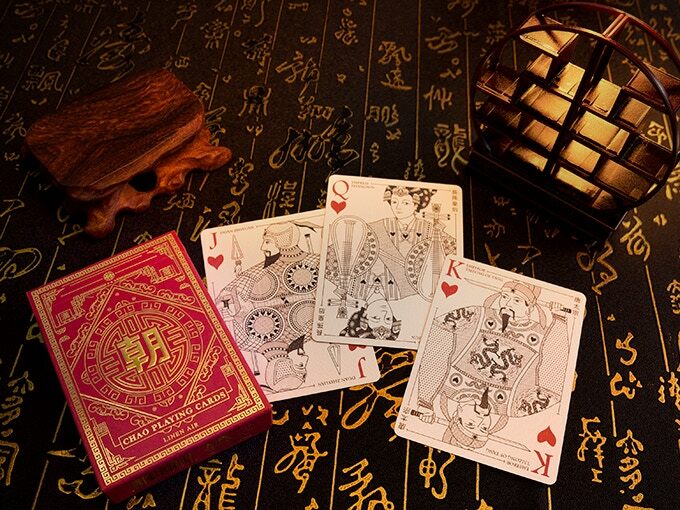 Chinese culture has served as inspiration for many playing cards but this time Make Playing Cards, one of the most important Chinese card printers in the world, offers us an interesting creation: CHAO. 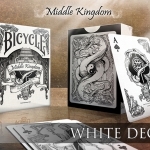 Make Playing Cards is already a reference in the playing cards printing and design as they have produced thousands of decks and prototypes for many campaigns of the most renowned artists. 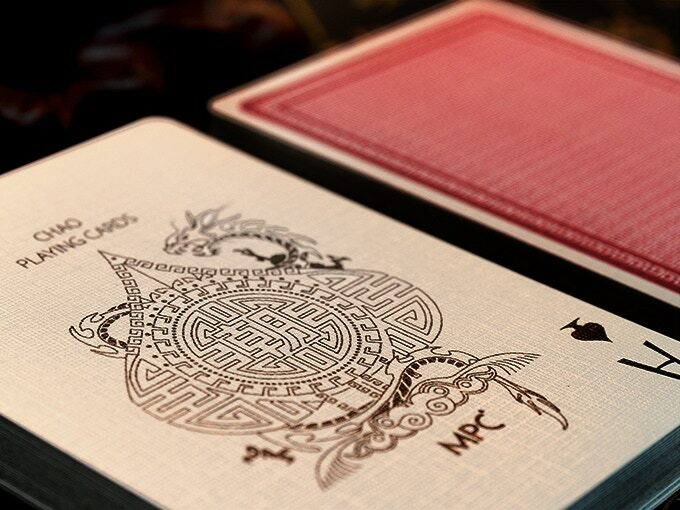 In addition, MPC has created their own brand, Impressions, characterized by the use of different technologies to create surprising cards, with embossed and foiled surfaces. 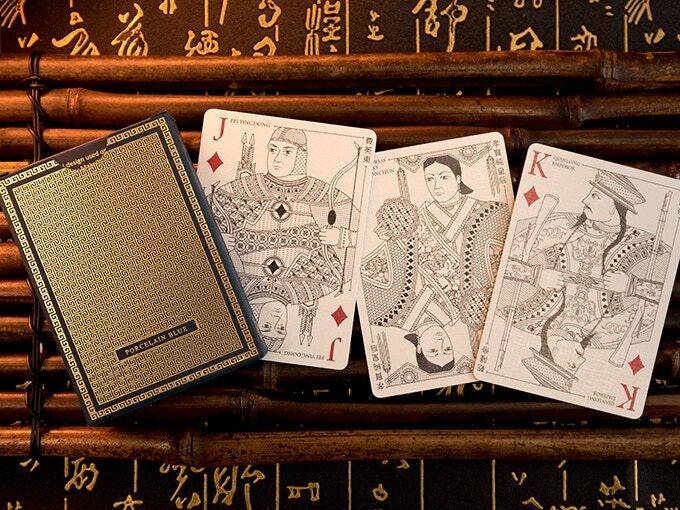 This time, however, they make a very different proposal, with customized cards inspired by four of the most important dynasties of the Chinese culture. 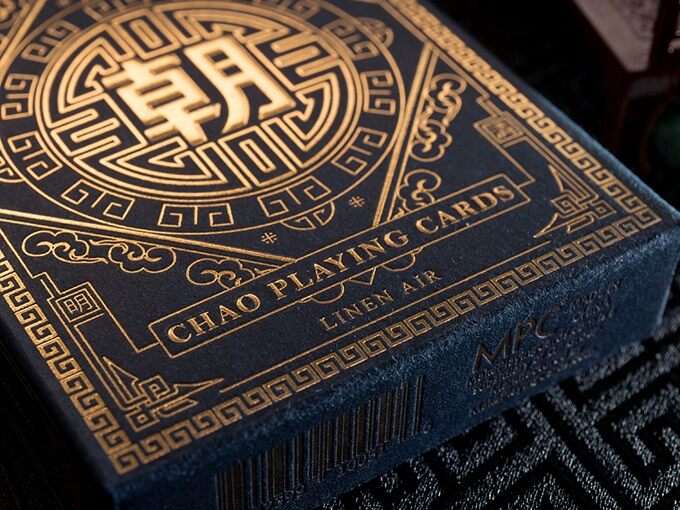 CHAO is a completely custom deck, although its scheme follows in some way the traditional structure to make its recognition easier. Each suit represents a relevant dynasty in some period of China’s long history: Han, Tang, Ming and Qing. 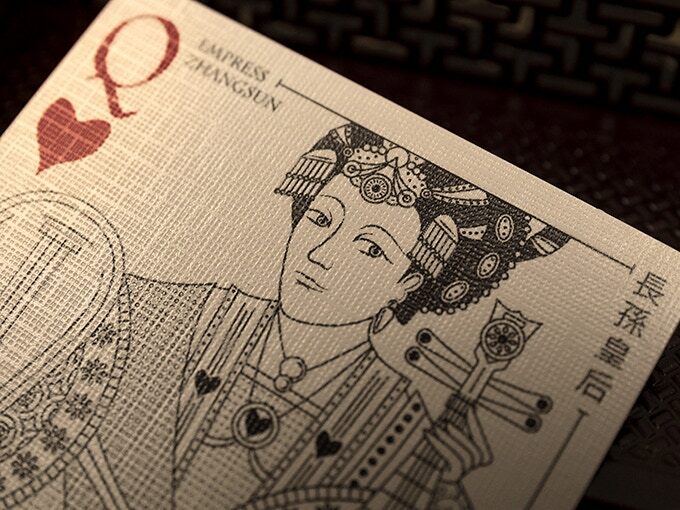 Each one of these dynasties are headed by their court cards that show outstanding emperors, empresses and generals, with their own traits, poses and stories. Using a simple hand illustration style, simple monochromatic lines draw these relevant characters along with their clothes, weapons and accessories. These details show an interesting and deep investigation of the historical episodes. 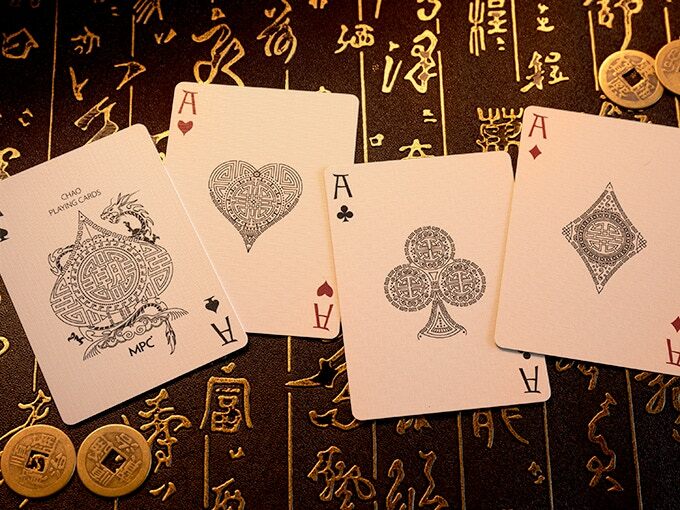 The intricate aces have a clear oriental inspiration, with the powerful Chinese dragon heading the ace of spades. 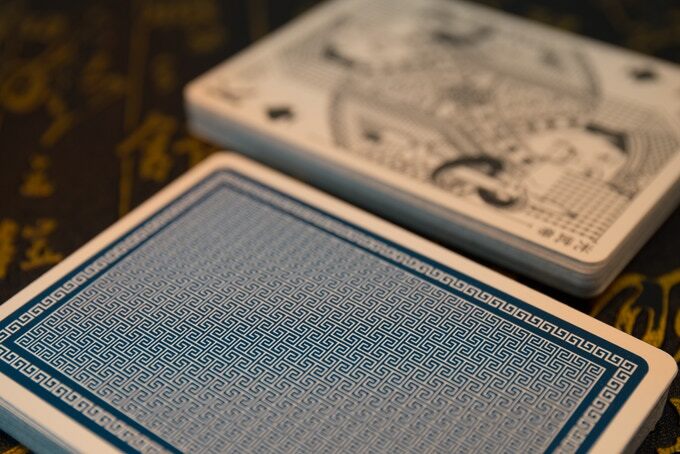 Two editions of the deck have been created with different backs and tuck cases. The colors are the traditional blue porcelain and red vermilion and the tucks have been profusely decorated with elaborate gold foil designs. 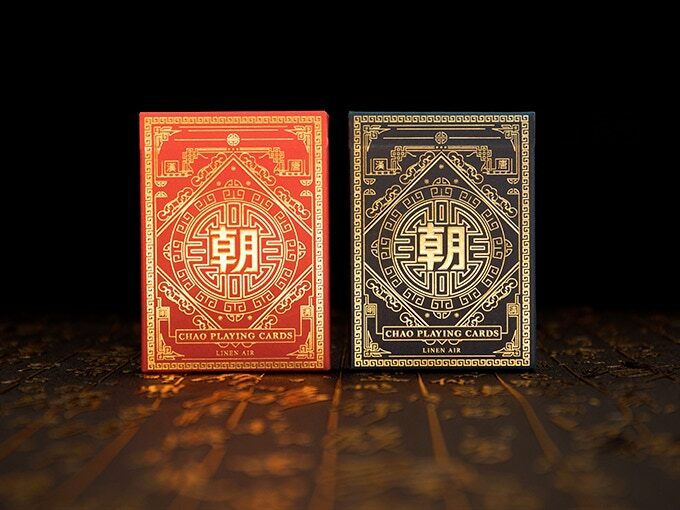 A Chinese-inspired deck produced in China by MPC in a limited run of 12,000 decks of each color. 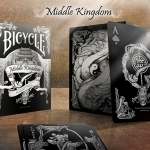 The shipping is included in all the campaign tiers so if you like it, visit the project website and raise your pledge.